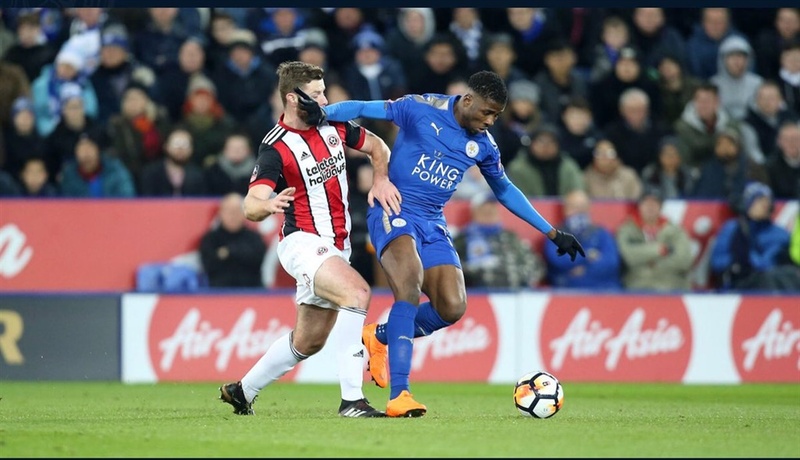 Nigeria international, Kelechi Iheanacho, is quite excited as his team, Leicester City, are through to the Quarter final phase of the Emirates FA Cup. Iheanacho was in action for 90 minutes on Friday night as the Foxes edged out Sheffield United 1-0 courtesy a solitary goal from the boots of Jamie Vardy. Though Iheanacho fired blanks he and his teammates put up a great performance and they are now awaiting their opponents in the last eight. As it stands, the chance of having a Nigerian lift the FA Cup in England this season is still very much alive. Alex Iwobi with Arsenal had the honour of lifting the prestigious trophy.